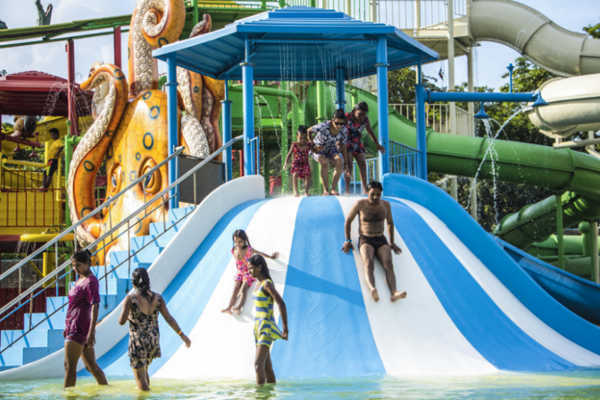 Atlantic Water World is New Delhi’s latest and only water park, and started operations in April, 2018. Spread across five acres, it can easily accommodate more than 3000 people, under the eyes of a team of highly trained lifeguards. located on the Yamuna waterfront near the Okhla barrage, it’s easily accessible for all the residents of Delhi, NOIDA and Faridabad. The outdoor entertainment hub comes with diverse attractions such as a wave pool, lazy river, water coaster and a family pool. The ‘Aqua Funnel’, which is created for the first time in north India is the star attraction. The ‘Tornado’ is a ride where one will zoom down 60 feet while sitting on a rubber tube. Then there’s the ‘Storm Eye’ where one gets dropped down an elevated chute and spin like a fusili before splashing into a giant splash bowl. The park also has an exclusive kids zone. Atlantic Water World has metro connectivity right at the doorstep. The theme park is also well-equipped with various restaurants offering an array of Indian dishes along with chaat, ice-creams and refreshing mocktails. 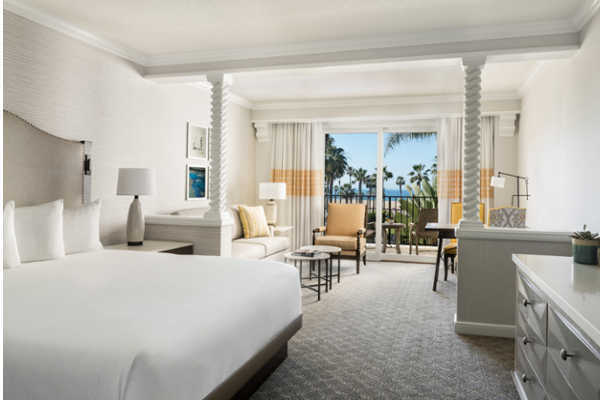 Hyatt Regency Huntington Beach Resort & Spa, Surf City’s oceanfront destination resort, has completed an expansive and multi-phase series of enhancement projects, presenting a reimagined resort experience for the 2018 summer season. Renovations to the resort’s 514 guestrooms mark the beginning of a new chapter for the iconic resort. The enhancements to Hyatt Regency Huntington Beach Resort & Spa include the Breezy Guest Room Renovation, a study in Mediterranean coastal elegance, each of the resort’s 517 guestrooms and suites have been redesigned to exude a residential Mediterranean vibe with a color scheme that echoes the sand and sky, custom furnishings with intricate design features, grass cloth wall coverings and vintage coastal artwork. The resort’s revamped main pool, Mankota’s, has been transformed into a relaxed location for guests seeking endless sun-splashed fun in a contemporary setting with expanded seating. Young travellers flip for a 90-minute ‘Mermaid Magic’experience that takes over the main pool every Sunday morning, complete with mermaid tail rental, water games, story time and instruction from a certified ‘Mermaid Master’.